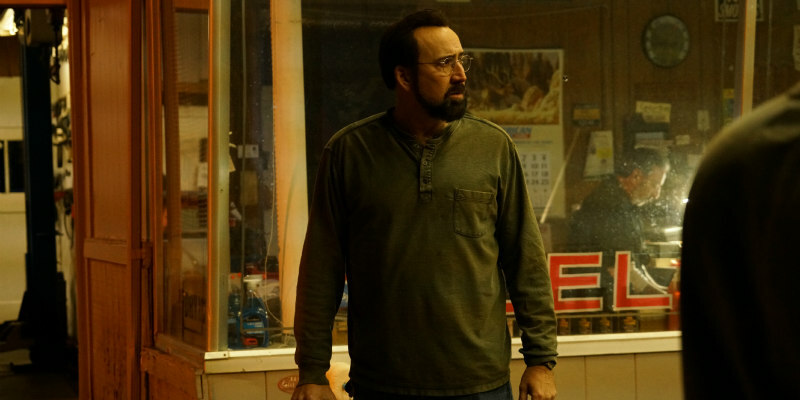 Did You Win A Four Film Nicolas Cage DVD Bundle To Celebrate The Release Of LOOKING GLASS? To celebrate the release of his new thriller Looking Glass, we've got a DVD bundle of four Nicolas Cage movies to give away. Starring action-legend Nicolas Cage, Robin Tunney (The Craft, Empire Records) and Marc Blucas (Brawl in Cell Block 99). Looking Glass is a new thriller from Tim Hunter (River's Edge) also a noted television director known for Gotham, American Horror Story and classic era Twin Peaks. Lionsgate UK presents Nicolas Cage in intense new crime thriller Looking Glass on Digital HD 16th April and DVD 23rd April (Amazon pre-order: amzn.eu/cf3Elj4). To celebrate the release, we've got a DVD bundle of four Nicolas Cage films - USS Indianapolis Men of Courage, Stolen, Bad Lieutenant: Port of Call New Orleans, The Wicker Man: Director's Cut - to give away to a UK reader.